Possibly looking to trade in the truck next year and buy a new vehicle. Must be either 4X4 or AWD. Must be automatic, as it well be the daily driver. Looking for something that's pretty sporty/quick, but still have that awd or 4X4 capability for the crappy winter months. I've been tossing the idea around of a 2015 SRT 8 Jeep. We'll see how that goes, as I will not/can not pay over a certain amount for the vehicle per month because of my Roush payment. (Hopefully I get a good raise at the end of the year/review time, which was hinted at already, but we'll see. You never know until it "actually happens". lol) I have some other vehicles on my "list". Just curious to see what your options would be and if you have any feedback. I would look at a Subaru Outback, or even a Forester or Impreza if you want something a little smaller. I've yet to meet someone who didn't like their Subaru. A Taurus SHO wouldn't be too bad, either. I do like the Subaru's. Mostly the WRX and the STi's though, but too bad the STI is a manual only car. It would be on the list no doubt. I kinda forgot about the SHO. I do have mixed feelings about the SHO. Every once in a while I see one on the road and I like, and then at other times, I'm not really feeling it. Good suggestion though. Are you thinking truck? SUV? 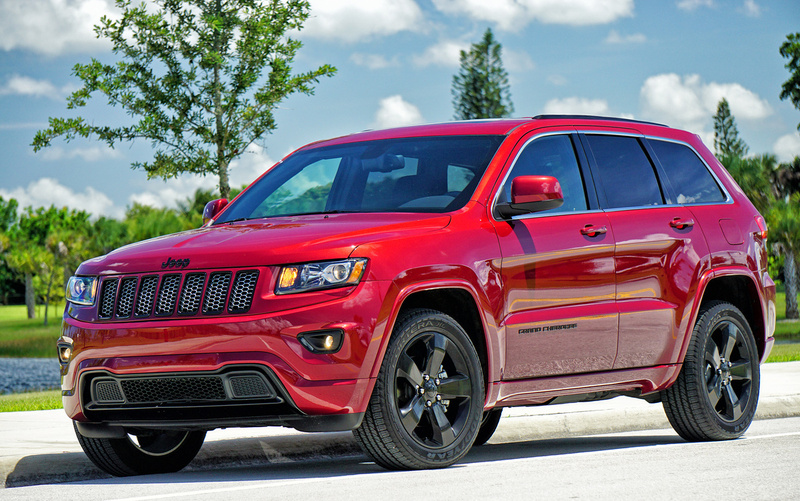 I really like the 2015 SRT 8 Jeep. Not sure if it's affordable yet. Got to see what the dealership is willing to do for a deal and for my trade-in. I'm not paying sticker for a SUV that expensive. My other choices are, in no order, the 2015 Mitsubishi Evo MR, the 2015 Cadillac ATS, all wheel drive 3.6 V-6 and the 2015 Lexus RC350 F-Sport. (The F-Sport, not the "F" V8 car. That is just a RWD power train.) I am really digging the Lexus RC350 F Sport though. Set to be at dealerships in December of this year. My very last resort will be another Ram truck, a 2015 Ram 1500 4X4 Sport, regular cab/short bed. So many choices, that is why I started this thread. Would like to hear what others would be interested in and why. Ford Flex Limited, ecoboost V6 AWD. Its a classy car, with all space, and enough power. 3.5 L Ecoboost turbo putting out 365 hp in an explorer sport. I'd consider one of those too! I see the Ford Flex was mentioned. I remember the xperts were saying the Flex would only be around for three years , but it is still around. If the Flex had a V8, I would certainly buy one. I really like the unique design of the Flex. The Flex just has a really classy design. Thank you everyone for the responses and ideas. I appreciate it. I had been looking at the Explorer Sport. That's a pretty bad *** ride. I think I would get that before I get another Ram truck actually. It's quick, looks great and has the 4X4 needed for the crappy winters. I should point out that as far as winter driving goes, I've had a ton of luck with FWD vehicles with GOOD snow tires. My Focus handled better in the snow then my previous GMC & Chevy half tons (with the standard all terrains). Obviously the 4wd and higher ground clearance helps with huge amounts of snow and being off road, but the Focus did very well, and never got stuck. Just something to consider. Might be able to forgo the 4x4 depending on what sort of conditions you'll see. I had zero problems with the Michigan snow, even with the HUGE amounts we got last year. I use my 2000 Jeep GC for Winter driving in Minnesota. Last year I drove on some country roads before the snow plow went through. The snow was so deep that my front bumper actually acted like a snow plow. If you drive on country roads, it is nice to have a SUV with 4 wheel drive. I like the security of the 4X4 or the AWD as I drive to work early in the morning, 5:40 AM, and sometimes the roads and parking lot are not plowed yet. I do agree that the "PROPER" winter tires can make a huge difference on any vehicle. You should go and drive one, you will be hooked. The car is a blast to drive and I was amazed how well it did in the winter with the standard all weather tires. My daughter has one, and sometimes she would rather drive our Explorer in the winter and we get to take her SHO. My wife is like I wish I would have bought one of these instead of the Explorer. I may just do that. I'm looking to order my next vehicle in March, so there may still be snow around. I'll definitely look into it. 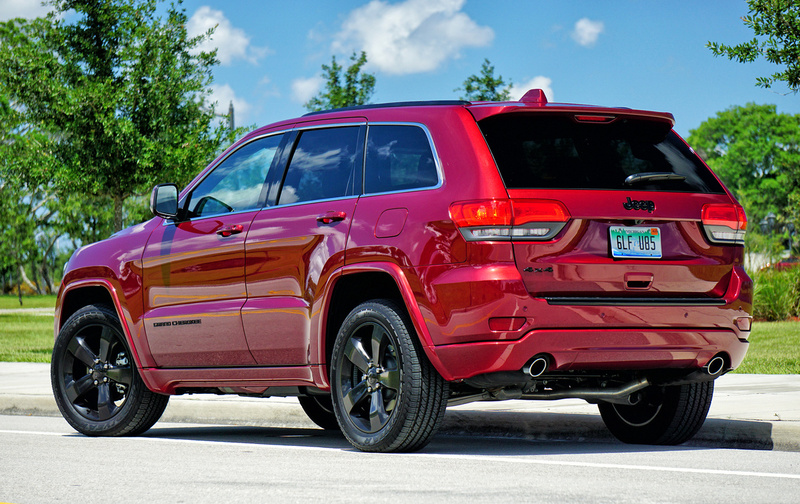 I'm going in on Saturday to hopefully place an order and deposit on a 2015 Jeep Cherokee High Altitude limited edition, 4X4, with Hemi, of course. It all depends on how much I get for my trade-in. Bottom line, and I will let them know that. (My truck is still in great working condition and isn't a money pit, except for gas. lol )I'm not going to hassle or mess around. I want my trade-in value first before talking Jeeps and test driving, even though this model is pretty much an "order" Jeep. (Not all dealerships have them in stock as they are limited edition.) If we can't agree on trade-in values, I'll thank them for their time and walk out. No harm, no foul. Well, I'd go for an Explorer Sport if you are looking for a "fast" SUV. As long as you aren't looking for an SUV that can take you rock crawling (like a Wrangler). I just bought a new 15 Explorer XLT 4WD and love it. I traded in a 2014 Jeep Cherokee (not the Grand Cherokee) with 6200 miles on it that was one problem after another. So I can't recommend Jeeps in general. Yeah I know all vehicles can have problems but some of the problems with the Jeeps seem to be of a more serious nature and not just "typical" new car problems. Just my opinion though. Whatever you get have fun. I sure enjoy having my Mustang and Explorer. Last edited by Scarpi; 8/15/15 at 11:40 AM.